Does your business have a job opening that needs to be filled? Post your job opening on Chamber Master today! Get the word out about the position in which your business is hiring. Leave a detailed description about the position and contact information for those who might be interested. The Job Posting portion of our website is updated frequently, so people are ALWAYS checking it. This is a great opportunity to gain future employees. To add a job posting click on the job posting tab. You can also manage all your job postings by clicking on the manage job posting tab. Add job information here and select your categories. 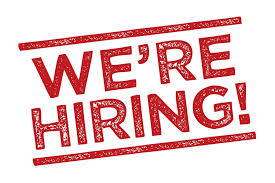 Add your contact information to the job posting here. Select the dates that the job posting must be posted for here. Add any images that you require here. Save the job posting as a draft for further editing or click submit to post the job ad. As a new business owner it is important to make sure others in your industry aren’t using the same business name. Spend the necessary time to come up with a few memorable names and do your research. You want your business to appear at the top of search results, no one wants to find their business eight pages later on google. Your name should be classic, easy to spell and memorable. Half of small businesses don’t invest in making a website. In this day and age, social media usage is growing more and more. Your business can’t afford to not have a website. Creating your own personal website can cost you a little to nothing. Search the web for template site builders (wix.com, weebly.com, or wordpress.com just to name a few) or simple content manage systems to start building your business website today. Now, you are probably wondering about the maintenance needed to run this business site of yours. A little ongoing effort can keep your website remaining relevant in search results and looking appealing for your clients. Do you think your little local business isn’t big enough to incorporate a business plan? If you answered yes, then you are wrong. Every business needs a business plan even if it is a two-page document outlining your goals. Over time you can refer to your business plan to ensure that you’re staying on track. So your business is booming after the grand opening, but that doesn’t mean stop marketing. Smart business owners market even when they don’t need it. Your business may be doing well right now, but in a few months that could change. The key with marketing, even when you don’t need it, is that it will ensure customers are coming to your business all year round. Remember to never use just one outlet to market your business. Get out and meet new people! It’s easy to stay in the office and focus on business, especially if you are running a home-based business. Networking can possibly help you bring new customers to your business, but it can also connect you with others in your industry who can serve as a mentor. Tip– There is always room to grow in your industry. Never stop learning and developing or it could be deadly for your business. Find new ways to be relevant to your audience and improve and expand your product line. Could you be setting your home business up for failure? While you are sitting at home on your laptop responding to emails and serving clients, are you being sidetracked by all the pitfalls and distractions in your home? Here are a few tips that will ensure that you stay focused on your business while working from home. It is easy to end up working on the couch, watching television, while running your business from home on your laptop. As a business owner this is not the ideal setup for someone who plans to succeed. Creating a designated office space will provide you with a better working environment with less distractions. You don’t have to have a spare room in your house to convert to an office. A section of a room will do or even a closet. Often times while working at home, you end up running errands, cooking for your family, dealing with the cable man, or folding laundry. Sit down with your family and create office hour rules. Your family needs to respect the fact that you will be working from home. Explain that you want to focus on work during certain hours of the day, and let them know when you will become available to them. Having children around while working on your business can lead to you being unfocused. If you have little children they may try to get your attention by tugging on your clothes or crawling in your lap. Hiring a babysitter or putting the children in daycare for a few hours will help you divide your time and focus on one task at a time. Many people don’t consider a home-based business as being a real job. Treat your business like a real job, invest in something like a professional website and the right business structure to ensure that you succeed. We all have that one friend that likes to come visit us while we are at work. Let your friends know that you are running a home business but you don’t want them showing up uninvited to gossip on their lunch break or to have coffee. They need to respect your business hours just like your family members. We tend to stay isolated when working from home. Get out and surround yourself with others, it’s good for you. Try attending local business networking events each month. Networking can possibly provide you with new business. Working from your local coffee shop from time to time could be a great way for you to treat yourself after working so hard from home. Stay up to date with your business skills. Read blogs, books, magazines, and even take online webinars, or face to face education course. Connect with other entrepreneurs who work from home to avoid the feeling of isolation. With the use of social media and online forums you can connect with individuals in your field. Remember to set your business up for success by giving it your attention and avoid distractions. Hot Deals are coupon postings, to the Mecosta County Chamber’s website, that can be printed and presented to member businesses. The Hot Deals portion of our website is updated frequently, so people are ALWAYS checking it. This is a great opportunity to gain exposure, to the community, about any sales or coupons your business has to offer. Hot Deals are merely another advertising opportunity provided, to you, free of charge! That sounds cool! How do I submit my HOT DEAL? It’s very simple! All you have to do is log into our website with your username and password, click on the HOT DEALS tab, click ADD HOT DEAL, fill out your deal information and click submit! Not computer savvy? Have no fear! Our how to guide is finally here. To add a Hot Deal click on the Add Hot Deal tab. 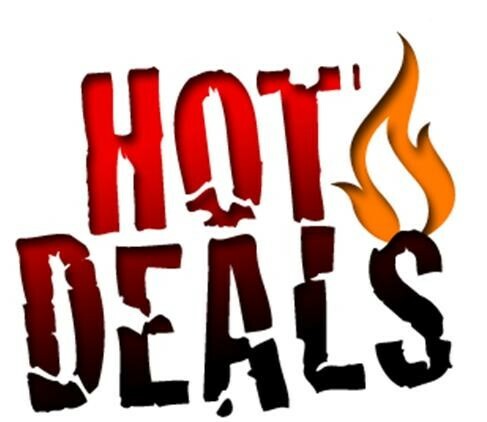 You can also manage all your Hot Deal postings by clicking on the Manage Hot Deals tab. Add the general information about the hot deal here and select a category. Add all the details about the hot deal here including text, images, and links. Select the start and end date of the offer and add an image of the product or service here. Add all your contact details here. Select the dates that you want your hot deal to be published. Save the hot deal as a draft for further editing or click submit for approval. Members are always checking our site for coupons so make sure that you utilize the Hot Deals portion. Imagine that you have just missed a project deadline at your workplace because your co-worker didn’t finish his or her portion on time? If you were put in this situation what would you do? What would you say to your co-worker? Not knowing how to handle discord as it occurs in the workplace can lead to frustration. Here are some tips to help you address conflict head on. Each conflict style has it’s own advantages and limitations. No conflict style is more right or wrong than the other. Each style should be used at a specific place and time. Being aware of your own conflict style, is the first step for improving how you view and deal with conflict. Knowing how to identify others’ conflict styles could be very beneficial for you and your workplace. If you can observe how a person conducts themselves during discord and identify his or her style, you can better reach a mutually agreeable outcome for all parties involved in a conflict situation. I feel angry (feelings) when you procrastinate at work instead of planning ahead on our group task (behavior) because then I have to pick up your slack to get the work done on time (why). If used in the work place by professionals, I-Statements creates a less hostile way to express a feeling of emotion you’re experiencing. I-Statements are also a more appropriate way to inform an individual about their behavior that caused the issue. These statements avoid blaming others for how you feel and minimize making the person you are in conflict with feel resentment, guilty, or put down. In a world where technology is ever-changing and constantly being used by professionals, it is vital that professionals stay up to date with how to use technology based programs, to reach their targeted audience. If you are a business professional, you may know the importance of promoting your business using marketing techniques. The goal behind any great marketing technique, is to try to make a product or service appealing to a particular group of customers. Why Use Instagram to Market Your Company? Instagram is a free smartphone app, which can be downloaded for iOS, Android, or Windows devices. Instagram lets you capture and share moments of your everyday life through photo and video features. You can even share the post with family and friends. Creating an Instagram profile for your business is just the first step to connecting with the community. Every Instagrammer’s goal is to gain followers to their profile and receive likes on their posts. In order to gain a follower base for your business, you have to market your brand. How to Market Your Brand? Uploading a simple photo of your company’s products just won’t do the trick. In order to gain followers and make people aware of your product or services, you have to put in work. You might be wondering, “What type of work will be required of my business and will this take up a lot of my time?” This is a fast and simple process. Once you get the steps down of how to operate the app, posting a photo or video will become second nature. One major way to get your post noticed on Instagram is with the use of hashtags. Many people underestimate the power of hash-tagging when used under a photo. Thousands of Instagrammer’s search Instagram daily under hashtag names. If you own a Baby Clothing Store Company and are in need of more consumers, post a photo of your newest merchandise, and underneath the photo provide a caption. Make sure the photo that you are posting is appealing for your viewers. The filter feature on the Instagram app is one way to bring your most dull and boring photos to life. Followed by this caption, hashtags can be added such as, “#FashionKids”, “#NewArrivals” or “#BabyClothing”. Hashtags should be strategically centered on your post and interesting enough that individuals would actually search for it. Be sure to tag your company’s name during your post. Doing so ensures that your brand is getting noticed. A giveaway post asking your followers to tag other Instagrammer’s, is one way to get your followers interacting on your profile and attract their followers to your profile as well. This technique will give a member of your business recognition and promote your product or services at the same time. Giving your followers the chance to be featured on your business profile creates a sense of belongingness for them and identifies them as having importance. Adding “Let us know below” gives your customers the opportunity to voice their opinion. From reading your followers comments, you can then see which product your customers like best and why. More Instagrammer’s are likely to follow your profile because they are able to communicate directly with your company. Tip— Once you get your profile started and gain an abundance of followers, it is not required to post as listed above daily. 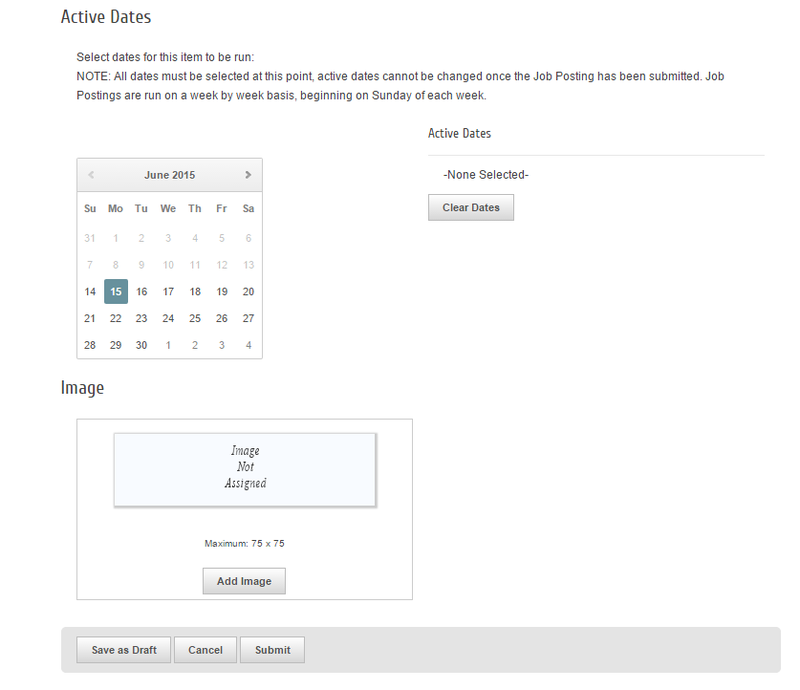 Your company can execute a plan to post once or twice a week. When posting once or twice a week, it is not recommended to interact with your followers in every caption. Your caption can just be informative or even just updating your followers on what’s going on in your office.